Building on the growing partnership between AMC and NH-JAG we were able to offer two day-long trail stewardship projects on the Davis Path in the WMNF, just north of Bartlett, NH. 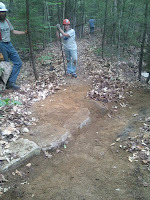 Over the course of the 2012 field season extensive trail maintenance and repair has been done on the Davis Path. Funding provided by the National Forest Foundation permitted several weeks of AMC staff trail crew, AMC Teen Trail Crew, and these two community service project opportunities. 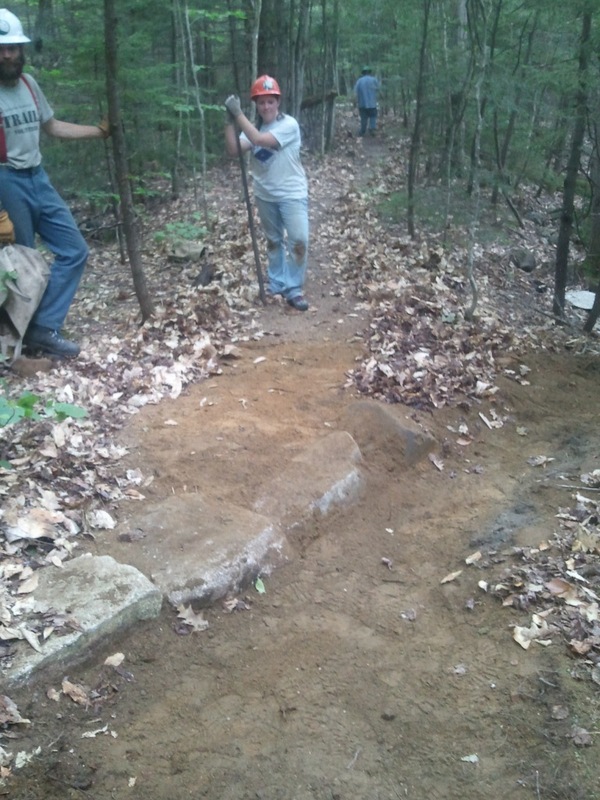 NH-JAG students, as well an NH-JAG staff from the Manchester office, joined in for two days of brushing-in widened trail and installing rock waterbars. AMC has partnered with NH-JAG to offer a total of seven weeks of conservation and trail stewardship work experience for Berlin and Woodsville NH-JAG students. These community service project opportunities allowed us to work with NH-JAG students and staff outside of these two northern towns. We were all pleased with the participation form the NH-JAG staff and students. 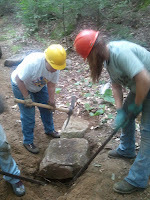 The hot weather, dirt, and heavy rocks didn’t deter the group from getting lots of work done along the trail. Thanks to all for two great days of work on Davis Path.